When your car begins to leak coolant the first indicator is the engine will start run hot and possibly overheat. 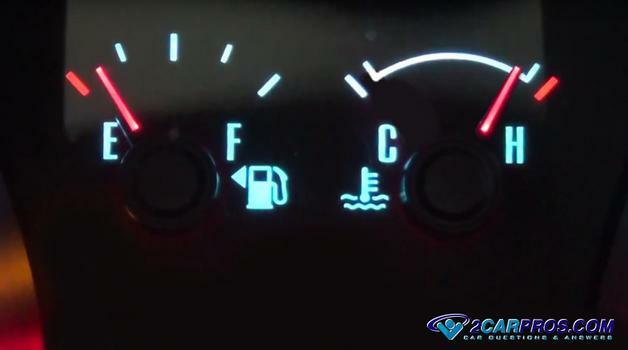 This will be noticed by the driver by observing the temperature gauge or when the engine temperature light comes on. An engine or radiator that is leaking coolant will have adverse effects on the engine such as excessive noise while running and reduced performance. Steam will sometimes be observed from under the hood because the coolant will come in contact with other engine parts which are hot such as an exhaust manifold or radiator. Also there may be a sweet pungent smell as the coolant is released or burned. Inside the car you might notice a coolant leak on the passenger's side floorboard which is telling you the heater core is leaking and needs replacement. When you notice a coolant leak you are racing against the clock. When your car's coolant level reduces to the point that the engine is overheating you can cause severe engine damage that can greatly increase your repair bill. Always park your car in a safe place before pulling over and calling a tow truck or fixing the coolant leak problem. Most of the time when your car is leaking coolant it will show up on the ground under your car. The coolant color can be red, green, blue or yellow. When your car is overheating do not open the hood so you don't get burned. Wait until the car has cooled down before opening the hood to observe where the leak is coming from. 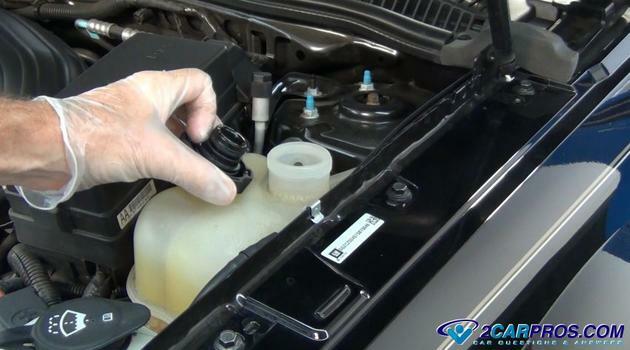 Your car is equipped with a coolant reservoir that is used to hold additional coolant in reserve. When this container is low or empty is means the extra coolant is now gone and leaking somewhere. If you do not see any coolant on the ground you can refill the system with water and pressure check the radiator for leaks. Once the coolant leak has been found it can be repaired. When your car's engine is running hot or is overheating it will cause the pistons to expand and seize in the cylinders. 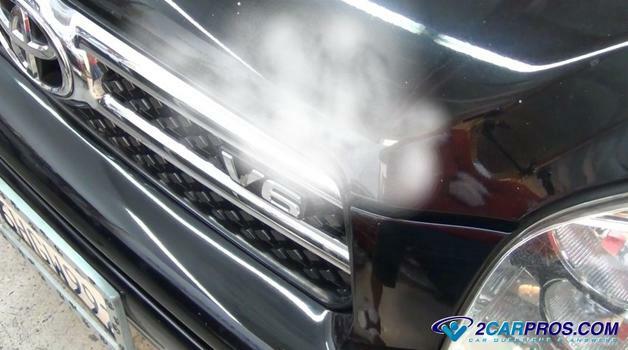 This situation may be evident when you can see steam coming from the body line or grill of the car's hood. At this point you must stop driving and shut the engine off to allow it to cool down which will help avoid further engine damage and burns to your hands. After you shut the engine off you may hear a ticking or crackling noise which is normal due to the extreme heat that has built up. If you have any questions about a coolant leak, please visit our forum. If you need car repair advice, please ask our community of mechanics who are happy to help. Our service is always 100% free.